"Our goal is to relentlessly push the boundaries when it comes to performance and our work on the 2018 Focus ST is no exception. Our Engineering Team refused to accept status quo when they took a “clean-sheet” approach in developing the level of enhanced performance that our customers have come to expect from us." 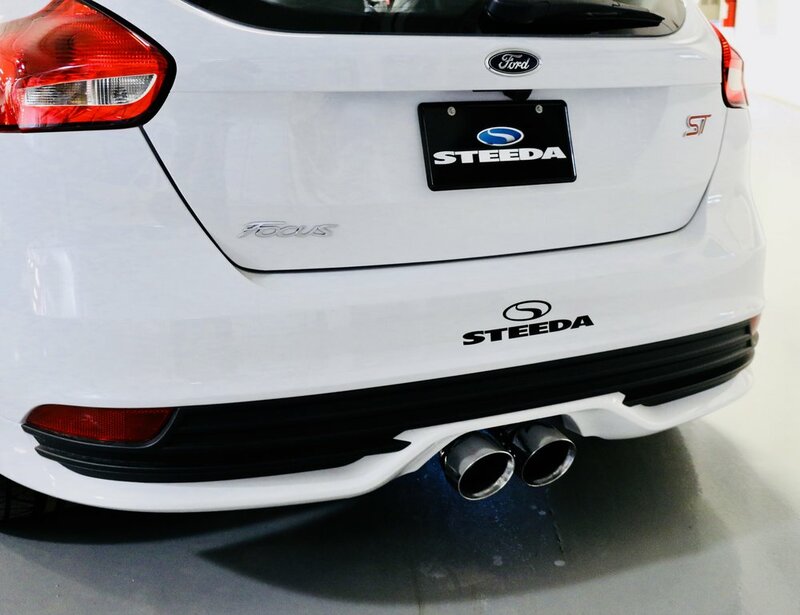 Combine Ford Motor Company’s EcoBoost power with the exhilarating performance modifications that have made Steeda Autosports famous for over 25 years and the result is the 2017 Steeda Focus ST™. This European-inspired performance sedan provides a smooth responsive ride with exceptional handling characteristics... thanks to the Steeda enhanced turbocharged power and the advanced Steeda G/Trac suspension components. 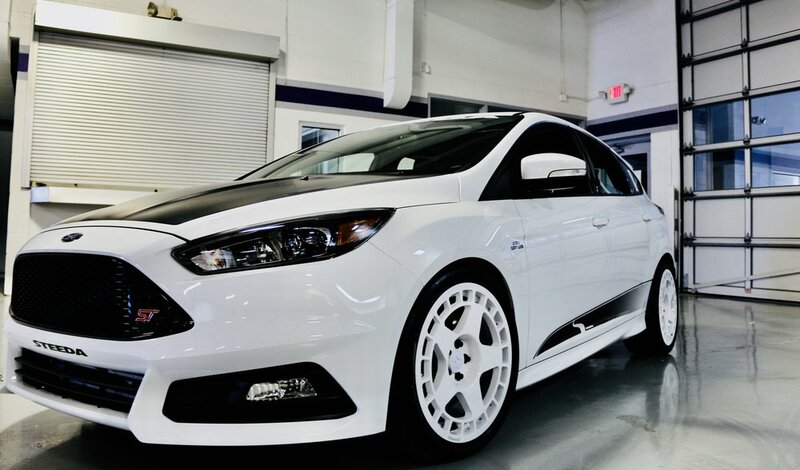 Steeda Autosports' relentlessly pushes the boundaries when it comes to performance and our work on the Focus ST was no exception. Our engineering team refused to accept status quo , taking a “clean-sheet” approach to deliver the level of enhanced performance that our customers have come to expect from us. All of the engineering enhancements were developed under our strict ISO 9001-2008 Certified Processes – with the intention to provide a more refined level of handling and responsiveness for exceptional performance on the street or the track. The Steeda Focus ST™ delivers an exhilarating experience that will satisfy even the most demanding performance junkies. This unique package has the increased performance, improved handling, aggressive looks and competitive feel that will make a true automotive enthusiast want to climb behind the wheel and stay there. Available powertrain modifications include a Steeda Cold Air Intake, Steeda Cat-back Exhaust, Steeda Performance Tune that make this Steeda Focus sound and go like a racer. The Steeda short throw shifter delivers significantly reduced shifter throw, improved shift feel, and accuracy to make the Steeda Focus ST much more fun to drive. The beefed-up Steeda G-Trac suspension rounds out the performance upgrades and helps you grab the road and carve the corners like no other Focus ST on the road today. An addictive drive? Try it yourself and see! For Steeda Authorized Dealer and vehicle purchase information, please contact vehicles@steeda.com or call 754-800-4135 and your personalized Performance Vehicle Concierge will work with you and answer all of your questions and provide you personalized service that will make your buying experience a memorable one. Inquire about other additional options - Custom Content Packages are Available to suite your specific needs.